Dimensions 0.65 by 6 by 9 in. 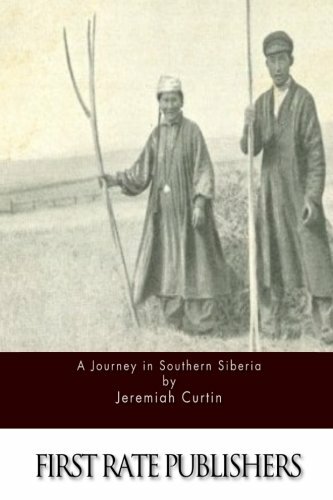 Amazon.com description: Product Description: A Journey in Southern Siberia are the recollections of folklorist Jeremiah Curtin during the turn of the 20th century. About: Jeremiah Curtin (1835 - 1906)Harvard educated American translator and folklorist, worked for the Smithsonian, and reputedly knew seventy languages.